When will be 90 Days to Wed next episode air date? Is 90 Days to Wed renewed or cancelled? Where to countdown 90 Days to Wed air dates? Is 90 Days to Wed worth watching? Life after the 90 days continues. Life after the 90 days continues. As the couples look back at their journey on a K1 visa, the newlyweds realise that their lives have not become easier. Danielle struggles with Mohamed's departure from their home. While Loren and Alexei fight over Loren's secret, Paola takes a modelling job. While Mohamed enjoys his time with Luisa, Paola plans a visit to Miami without Russ to further her modelling career. 90 Days to Wed next episode air date provides TVMaze for you.  EpisoDate.com is your TV show guide to Countdown 90 Days to Wed Episode Air Dates and to stay in touch with 90 Days to Wed next episode Air Date and your others favorite TV Shows. Add the shows you like to a "Watchlist" and let the site take it from there.